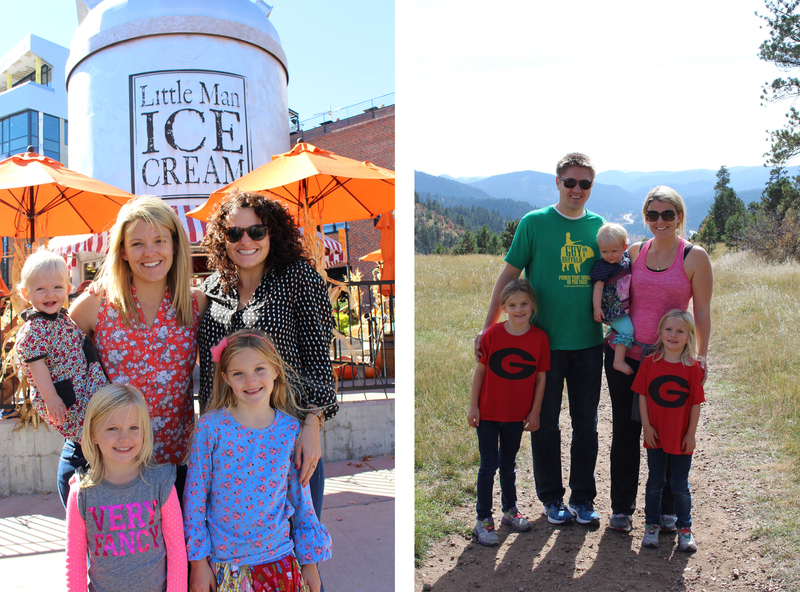 Going on a Book Hunt | and we're going to find a good one! 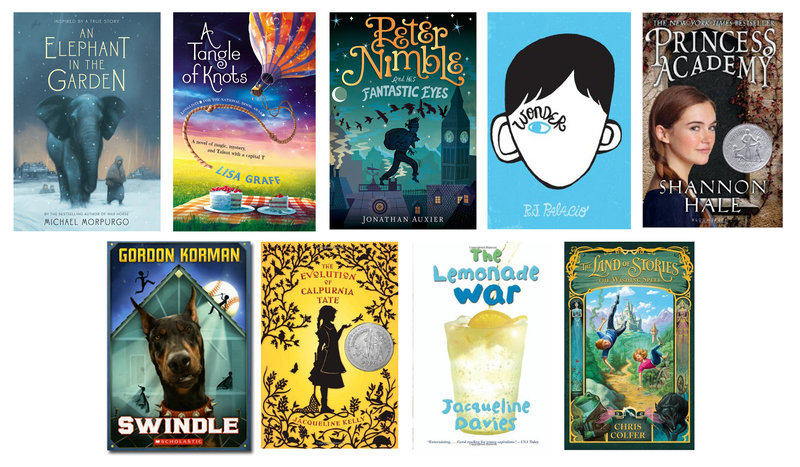 I Love Chocolate, But These Books Beat Halloween Candy Any Day! 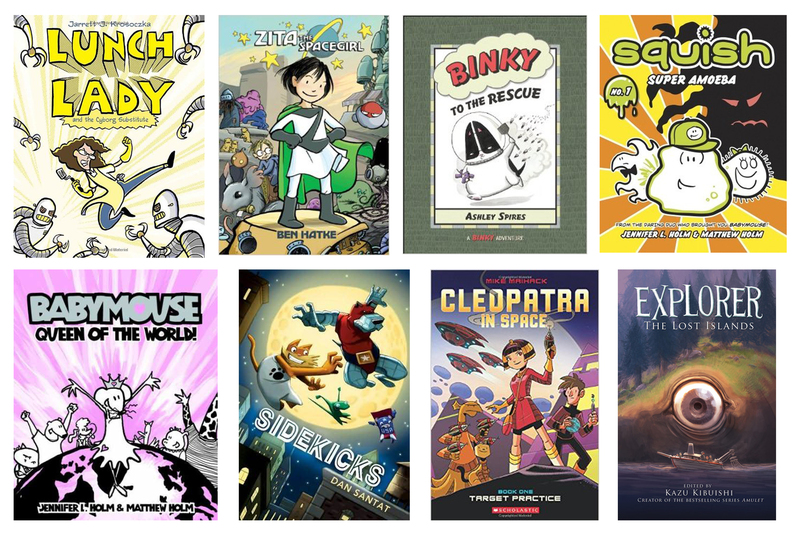 I’ll use almost any excuse to give my girls books: the first day of school, the last day of school, lost teeth, birthdays, Valentine’s Day, Easter, the first of December, Christmas, and, of course, our upcoming holiday – Halloween. I’ll admit, I do this in large part to satisfy my own obsession with children’s books, but, honestly, what better gift can you give your child than a book? They certainly don’t need any more candy than what they’ll collect trick-or-treating! The book is often lauded for its lessons on sharing, but what I love most about the story is the perfection with which Carlson illustrates a child’s obsession with Halloween candy. 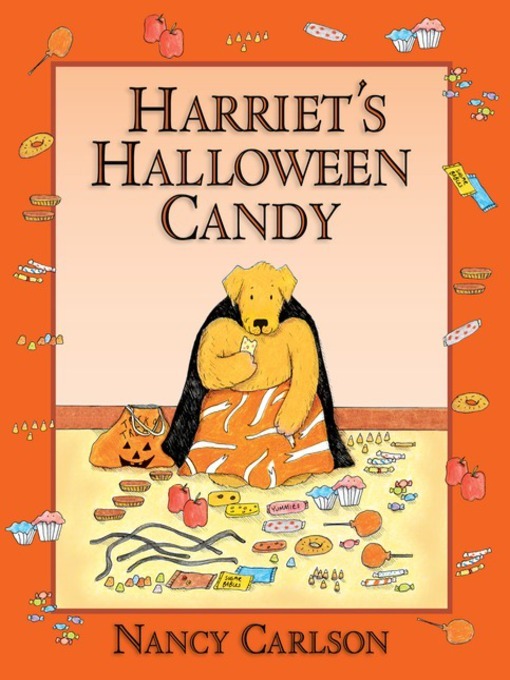 I assessed, hoarded and overate my Halloween candy every year, just like Harriet. And just like Harriet, I ended up with more stomachaches than I liked. 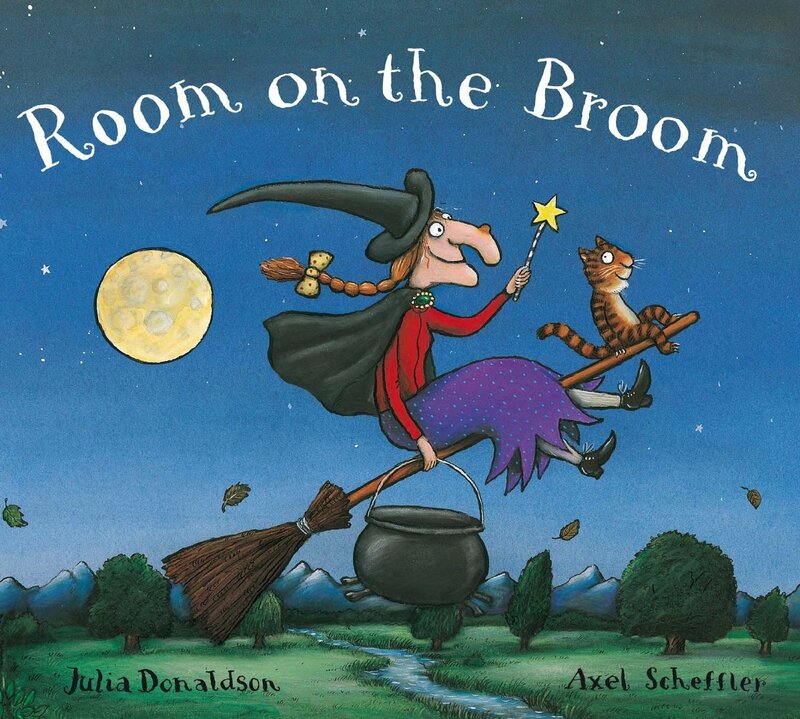 “Room on the Broom,” written by Julia Donaldson and illustrated by Axel Sheffler. This book is on display everywhere for Halloween, so if you don’t have a copy already, you must pick one up! It’s a wonderful introduction to the awesome author-illustrator team of Julia Donaldson and Axel Scheffler (both of the U.K.). Donaldson rivals Suess for her talent with rhyming verse (I’d argue, she comes out on top; I know, blasphemy! ), and Scheffler’s illustrations are playful, colorful and simply one-of-a-kind. In addition to the incredibly imaginative rhyming verse and the fabulous illustrations, “Room on the Broom” is wonderful because the story can be read year-round. Sure, the main the character is a witch, but Halloween isn’t the setting. This friendly witch is simply taking a ride through the skies with her cat when a strong gust of wind blows off her hat. They go in search of the lost hat and are assisted by a polite dog who recovers the missing item. In return, the dog wonders if there’s “room on the broom” for a dog like him. The dog is welcomed into the fold, and the trio sets off together on the broom. However, the wind hasn’t let up and the witch subsequently loses her bow and wand. A parrot and frog come to her rescue in those instances, and each is welcomed aboard. This is a fabulous book about new friendships and comraderie, plus every child likes a story about a magic witch’s stew! 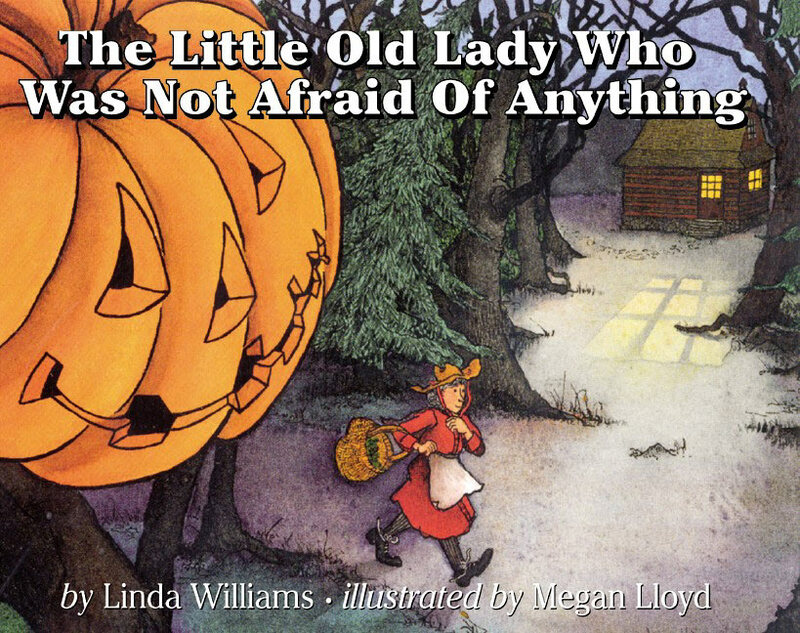 “The Little Old Lady Who Was Not Afraid of Anything,” written by Linda Williams and illustrated by Megan Lloyd. This is another classic from the ‘80s, but the story and illustrations have a timeless appeal, which is why it remains in print and widely available today. The book is based on an older folktale about a spooky body that appears bit by bit, and it’s perfect for children who are begging for a “ghost story” but may not yet be ready for the real deal. Now it seems the “little old lady who was not afraid of anything” might just be a little frightened. She runs home as fast as she can and locks the door. When she hears a knock at the door, she summons up her courage and confronts the creepy collection of body parts. She tells them that, despite their best efforts, she’s not afraid of them and encourages them to try scaring the crows in her garden instead. 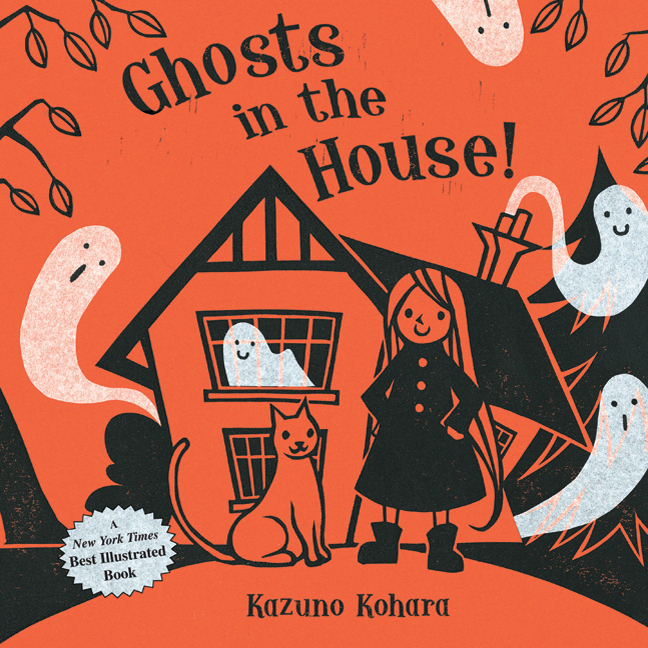 “Ghosts in the House,” written and illustrated by Kazuno Kohara. This book was named one of the best illustrated children’s books of 2008 by The New York Times, and for good reason. Kohara’s linotype prints are stunning – the bold black illustrations stand out against vibrant orange paper, with white, semi-transparent ghosts as the only other contrast. I’m tempted to order a second copy of this book just so that I can frame pages from my original copy as Halloween decorations. While the illustrations are irresistible, the story is equally endearing. A little girl and her cat move into a house on the edge of town only to discover it’s haunted. But Kohara lets us in on a little secret: “the girl wasn’t just a girl. She was a witch!” And that witch knows how to catch ghosts. She pulls her witch’s hat out of her suitcase, and she and her cat round up the mostly-friendly ghosts. Once caught, they send them through the washer, hang them up to dry and inventively turn them into curtains, tablecloths and blankets, making the house into the perfect home for a witch and her cat. 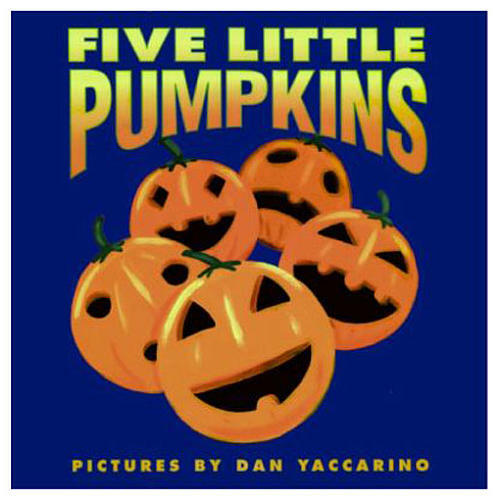 “Five Little Pumpkins,” illustrated by Dan Yaccarino. “Five little pumpkins, sitting on a gate. Ooooooooooo went the wind and out went the light. The book serves as a great prompt for older children who enjoy performing the rhyme, and its short verses and bright illustrations make it captivating for babies and toddlers. “Halloween Faces,” by Nancy Davis. Davis combines graphic, color-blocked illustrations with the inventive use of die-cut pages, to create a book in which you are able to try various Halloween masks on a boy and girl as you turn the pages. 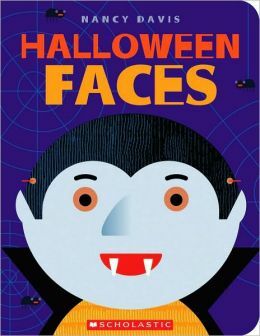 Similarly, the second portion of the book includes die-cut pages that reveal silly, happy, scary and spooky pumpkin faces. The final spread is a fold out that reveals a Halloween party scene, attended by adorably dressed trick-or-treaters. “Who Said Book?,” written by Phyllis Root and illustrated by Ana Martin Larranaga. 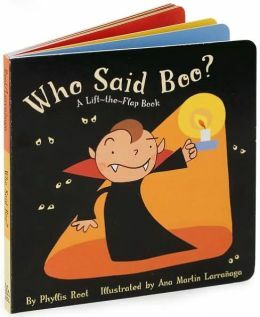 A lift-the-flap book in which a vampire demands to know “who said boo.” Each spread includes a page with a door flap, behind which hide various Halloween characters, none of whom claim to have said “boo.” The tiniest door reveals a mouse, who admits to being the culprit, and the supposedly scary ghost, witches, ghoul, vampire and skeleton yell “EEEEEEEEEEK!” in fearful response. This book earns merit for the universal appeal of its lift-the-flap format, its creative and unexpected rhymes and the cuteness of its illustrations. 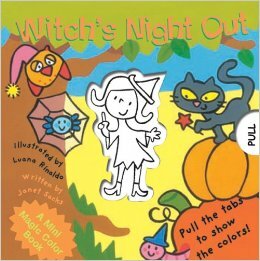 “Witch’s Night Out,” written by Janet Sacks and illustrated by Luana Rinaldo. This super cool pull-tab book is part of a series of “mini magic color books.” Images revealed through die-cut openings initially appear in black and white. When the tab is pulled, however, the image is revealed in full color. The text makes use of the cute trick and asks readers to guess the color of various characters’ accouterments. For example, we are introduced to Wendy Witch who lives in the land of friendly witches. What color is she wearing? When her image escapes the right margin of the page, we find her wearing a green dress, candy striped tights and purple hat and boots. Similarly, the reader is invited to guess the color of her cat, her friend William Wizard’s cloak and hat, and the color of the moon. Kids are bound to love this one because they’ve never seen pull-tabs works quite this way before. My dog has been immortalized in children’s literature! 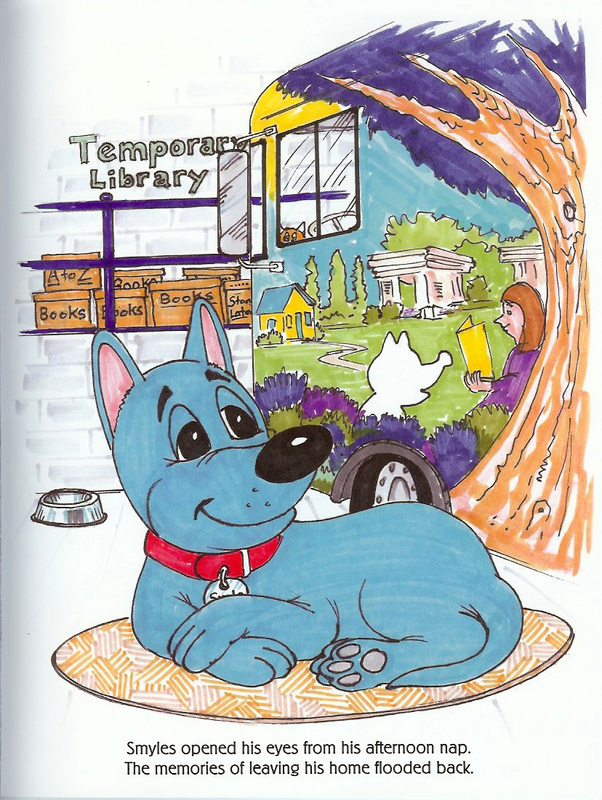 If you’ve visited the newly remodeled and reopened Ames Public Library, you may have sat in on reading of “Dog Tales Too: Old and New,” the sequel to the book that introduced us to the library’s beloved mascot, a big blue dog named Smyles. The book was co-authored by my good friend and former neighbor, Roger Kluesner, who also happens to be a board member for the library’s Friends Foundation and was highly involved in the library’s remodel. 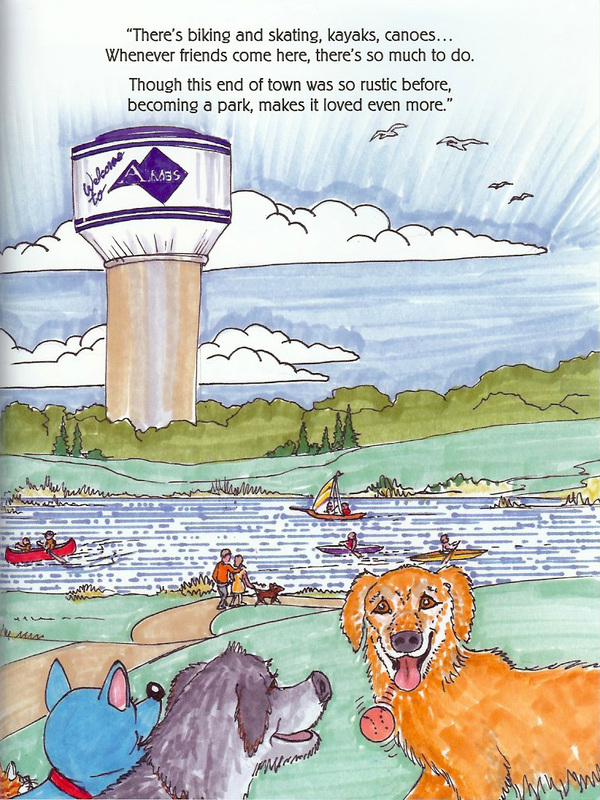 Local children’s book author Sarvinder Naberhaus helped shape his vision into wonderfully rhymed verses. Roger was inspired to write the book after observing Iowa State University’s sheep dog, Chester, patrol our neighborhood long after a large portion of his pastureland was converted into a residential development. Despite the fact that his flock was contained to the west and the south of our houses, the big, shaggy, black dog still felt the need to keep watch over the entirety of his former territory. Roger imagined the fictional Smyles might also have struggled with the upheaval in his living circumstances, after spending two years in the library’s temporary home on Lincoln Way before returning to the newly remodeled facility on Douglas Avenue. In addition, Roger was quite familiar with the many real-life concerns of those who were uncertain about all of the drastic changes being made to original library, parts of which date back to 1904. 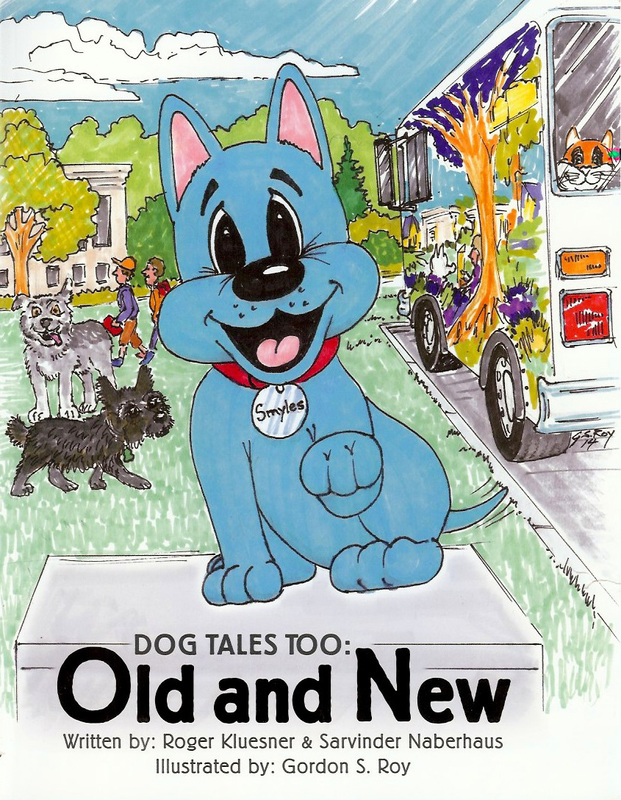 In “Old and New,” Smyles and Chester the Sheep Dog makes each other’s acquaintance while Smyles is touring the town with the bookmobile and his librarian friend, Miss June. 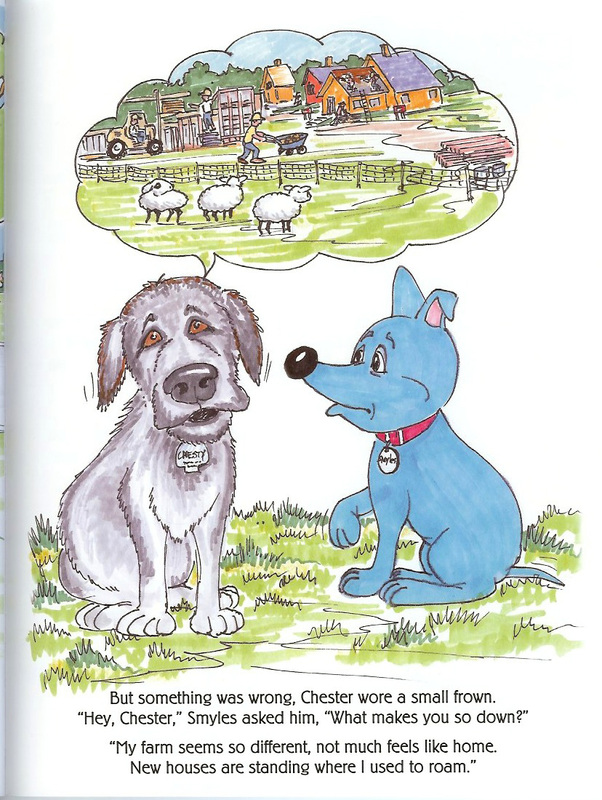 Smyles lends a sympathetic ear when Chester expresses his unease with the changes being made to his farmland home. Smyles invites Chester to join him as the bookmobile completes its route, and, along the way, Smyles shows Chester many of Ames’ landmarks that also have been modified in some way over the years. When the duo makes a stop at Ada Hayden, they run into the one and only Honey B. Good, ever eager for a game of fetch with her tennis ball. 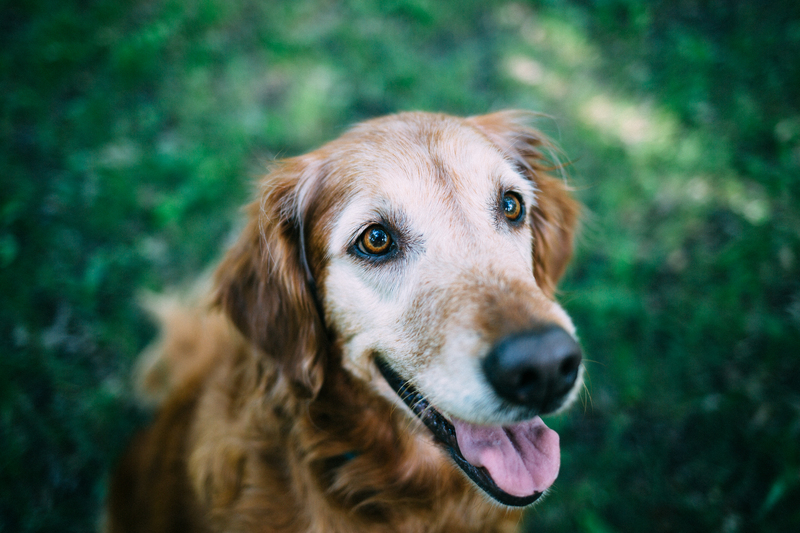 For those who know our fabulous dog, you’ll immediately recognize her beautiful golden eyes, red coloring, friendly demeanor and pretty feminine face (yes, I’m biased). 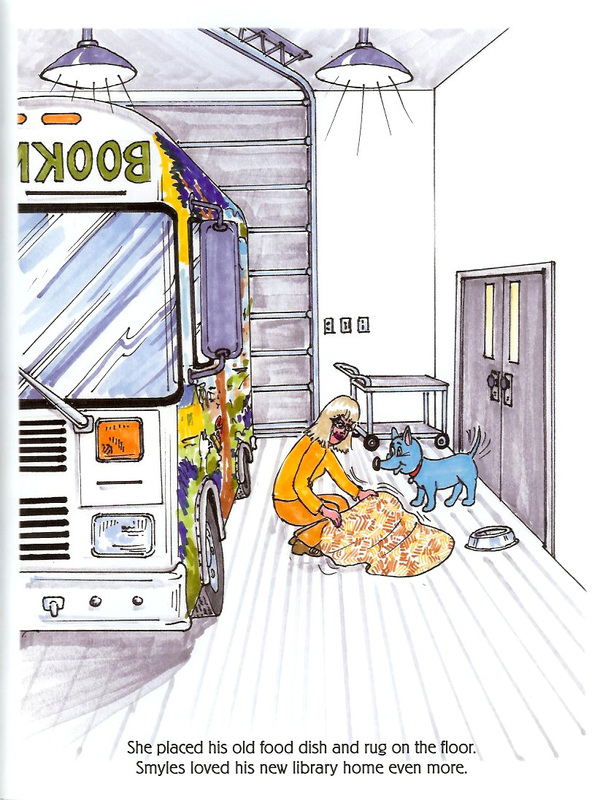 I am so grateful to Roger and illustrator Gordon S. Roy for honoring Honey by including her in this book. 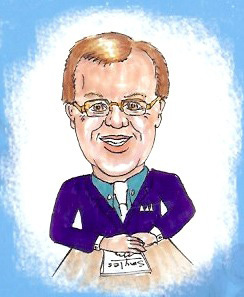 Roger is well aware of my children’s book obsession, and it was so kind of him to give me a personal connection to a book that’s sure to be cherished by the children of Ames. In addition, Honey was Austin’s and my first “baby” and the first dog that I’ve trained competitively in obedience – both of these roles earn her a permanently precious place in our hearts, something our friends who also train dogs will understand well. 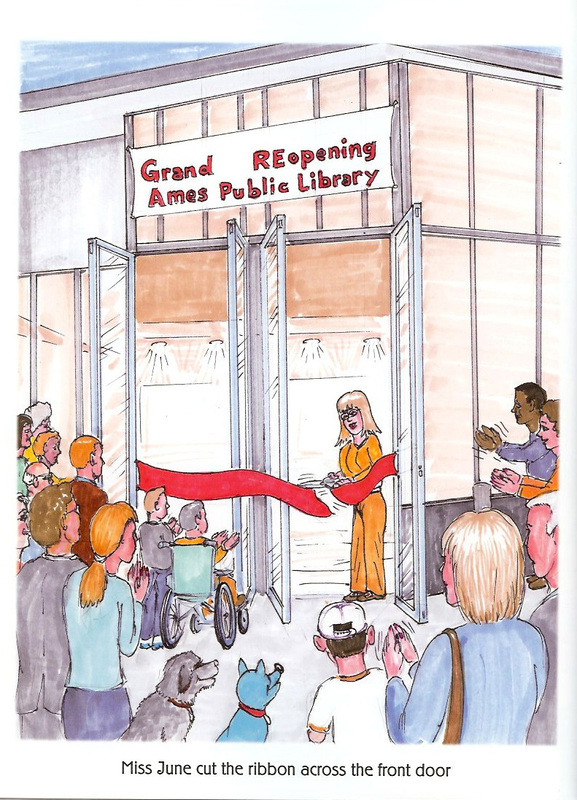 As the book reaches its conclusion, Smyles and Chester join the residents of Ames as they celebrate the library’s grand reopening. When the ribbon is cut, Smyles bounds through the door, eager to be back home. It was Roger’s hope that all those who love the library would embrace the “renewed” building in a similar fashion. Hints of the library’s 104-year history are still apparent, but what’s not to love about more than doubling the facility’s square footage? Or the soaring ceilings and bright and airy spaces? And certainly all of the library’s patrons are happy to see the library (and Smyles) back in its rightful home.